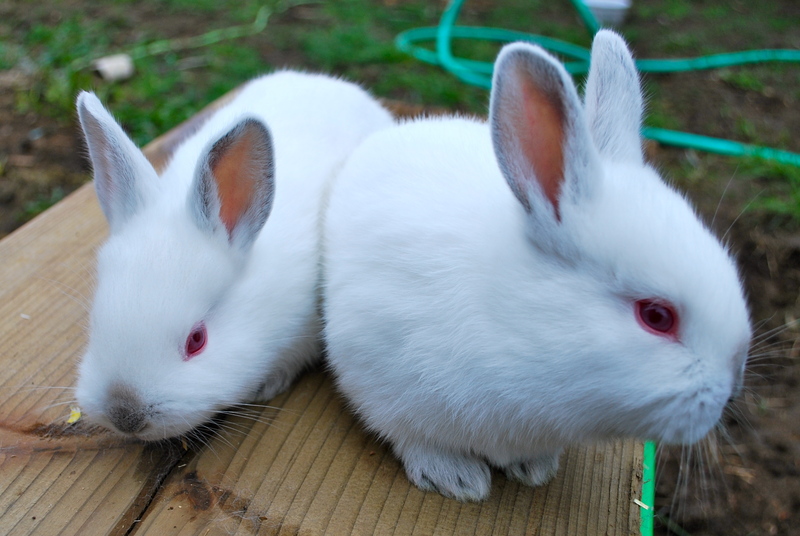 Of course while I was shooting the Rexes, I had to get some shots of the fluffy white puffball, three week old Cal kits. 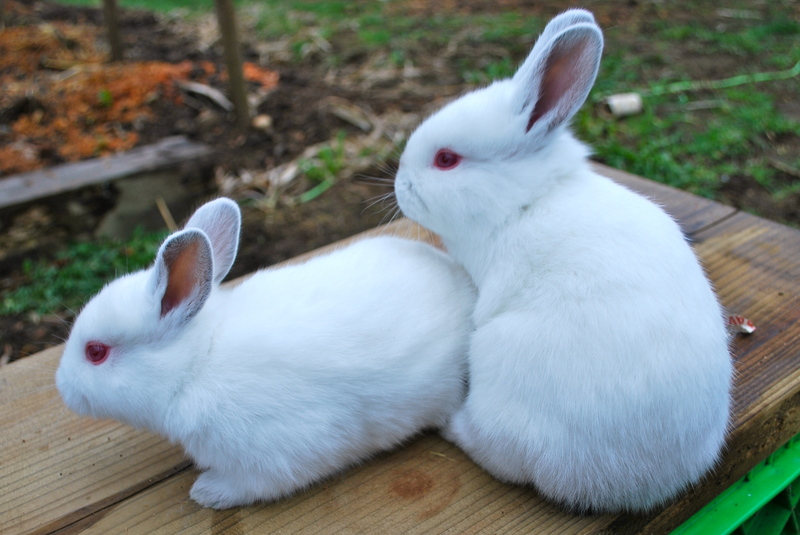 These bunnies are just so tiny and sweet. I’m going back on the barley fodder system now, and I think that will make for even healthier and happier rabbits. I’d say the new nesting material is a big winner, based on how fat, healthy and issue-free both these litters of kits turned out. For at least the past week, these kits have refused to go into the nestbox at all, instead mom uses it to escape from them when required. I’ll be taking it out soon. 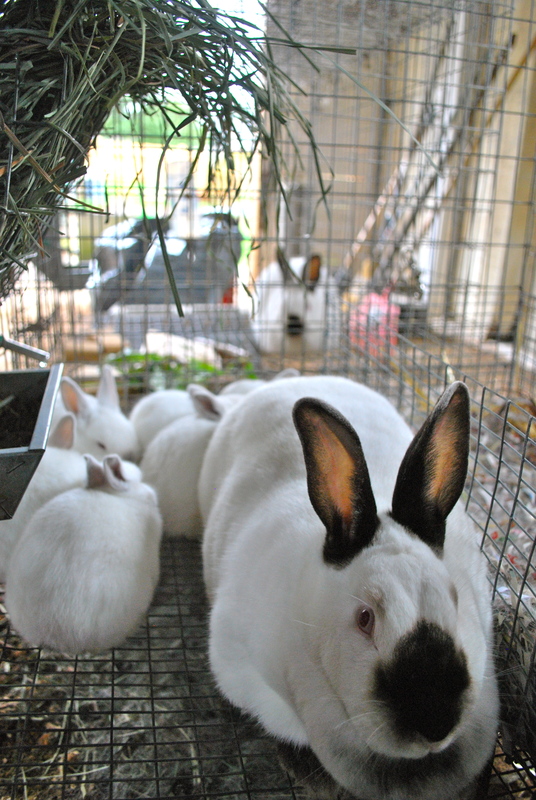 This entry was posted in rabbits and tagged breeding californian rabbits, californian kits, californian rabbits, meat rabbits. Bookmark the permalink.